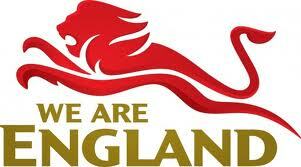 December 9 - Commonwealth Games England (CGE) has secured another major sponsor ahead of the Glasgow 2014 Games. 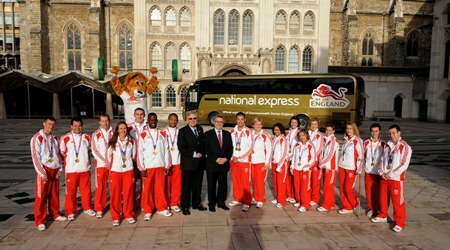 CGE, which already has National Express and Southern Electric as its main partners, is joining forces with Glasgow 2014 in its hunt for sponsors before the Games get underway and will announce its latest addition early next year. That will also be the announcement date of the CGE's Chef de Mission appointment, for which it has already interviewed to a shortlist here at its new office, to which it moved from Crystal Palace in October. "With this being a home Games, or at least a quasi-home Games, our saleability is very high," Adam Paker, who took over as CGE's chief executive in October, told insidethegames. "The sponsor proposition is particularly strong. "We've got National Express at one level, and Southern Electric coming in at the same level as that. "The new sponsor, coming in from a completely different sector, will be at the next level down. "They will be a sponsor of both properties, with the announcement probably early next year. "What we have done with our sponsorship since March is to join forces with Glasgow 2014, so what is being sold is actually a joint offering. National Express painted one of it's coaches gold in honour of the athletes who will be representing England at the Glasgow 2014 Commonwealth Games. "What would make less sense would be for us to be out in the market selling our sponsorships and the Glasgow 2014 selling theirs, when in fact there is a strength in drawing together into one single offering. "Every new sponsor coming on board is a massively big deal for us. "They carry our message much more powerfully in many ways than we can do on our own." Paker, who has previously worked for FIFA and betting company 888.com, where he was central to their sponsorship of the World Snooker Championship, added: "We certainly don't think this is the end of the pipeline. "We are certainly expecting more sponsors to come on board between now and Glasgow. "The general crescendo interest in Glasgow is building up very nicely. "Partly the athletes are doing that, partly the national governing bodies are doing that. "Glasgow 2014 are doing a first-rate job in terms of their marketing programme. "They've launched their mascot, and an Ambassadors programme – that all complements the effort to get on board more sponsors. "One thing I am trying to do is get sponsors on board early because in my experience the earlier you get on board the better value for money you get. "Sometimes in previous events – Commonwealth Games and others – we have seen sponsors sign at the last minute. "Obviously, that is better than sponsors not signing up, but that is an opportunity lost." Click here to read the full interview with Adam Paker in the insidethegames Big Read.